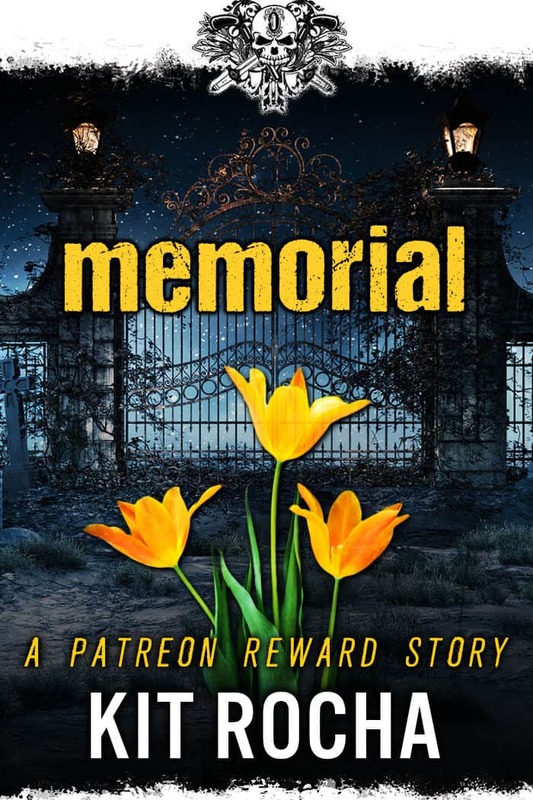 Memorial: A Patreon Reward Story. This story is a short vignette voted on by our Patreon supporters. In it, Noah & Emma finally take some time to remember someone they lost. Most of the time, Emma Cibulski was laid-back. Pleasant. Sure, she had her gloomier moments—she had, after all, been Ace Santana’s apprentice, and he’d perfected his brooding artist routine while she was still in diapers. But usually she could go with the flow, get along with anyone and everyone. That changed once a year, every year, for one day. On the twenty-third of August, no one wanted to be around Emma. If you asked them, they might tell you that they were giving her space. A little breathing room. But the truth was that on that single day, for twenty-four hours, it hurt just to look at her. Noah found her holed up in her studio. One look at him, and she knew he knew. Of course he did. Cib may have been her big brother, but he was Noah’s best friend. The trauma of the day Cib died would be laser-etched into his brain, too. Years ago, Emma used to beg Noah to sit for portraits, ostensibly so she could practice her drawing. But she just wanted to look at him. She’d spent so many hours back then studying him that it was easy to spot the differences in him now. The years had hardened him, giving him lines around his eyes and a muscled frame accustomed to fighting for survival. She even thought she saw a few flecks of silver in the ginger hair at his temples. If wishes were horses, Emmy, beggars would ride. Their grandmother’s saying, but Cib had used it often enough. It didn’t do anyone any good to wish things had been different. They’d all been dealt a hand, and they all had to play it. Cib may have been her brother, but Noah had been closer to him. Known him better. Whatever hopes and dreams Cib had held for her, Noah was the one he’d shared them with. He would know. So many possibilities, and not many of them decent or humane. A mass grave at the edge of the sector, dumped in alongside the rest of Fleming’s enemies. Compacted with the rest of the trash. Left to rot in the desert. The little cemetery was the greenest place Emma had ever seen in Five. The rest of the sector was all hard angles–concrete and brick and steel and glass. Huge factories to churn out medications and complexes to house the workers who made them run twenty-four hours a day, seven days a week. But here, in this tiny little shard on the edge of the sector, even the low stone wall encasing the graves was covered with green moss. Emma didn’t know how to process that–the sheer amount of life in a space dedicated to death. He led her down a path lined with lovingly tended flower beds. The wildflowers formed a riot of color–yellow, red, white, pink, purple. All jumbled together, bright and cheerful life. There were bare patches amongst the flowers, and colorful spots of color resting in front of the markers. “Not even him,” she agreed quietly. Part of her wanted to believe that Mac Fleming had wanted to turn his sector into a hellish place for everyone but himself and his buddies, but she knew the truth, and it was worse. He simply hadn’t cared. They were all just collateral damage. There was a spot near the wall, a gently rounded mound with what looked like a concrete block sunk into it, its pitted surface even with the ground. Blades of grass curled over it, but when Emma stepped closer, she could see the surface was blank. Unmarked. Somehow, in that place deep in her chest where helpless sobs always began, she knew. It was surprisingly careful, this little mound of earth. Her brother’s grave. Finn had gone to a lot of trouble to bury him here, and she wondered if he’d been driven by guilt or something deeper–like a desperate attempt to hang on to what was left of his soul. There was no real reason for it, no one else left who cared enough to visit–but perhaps that was the point. Something lasting, something permanent. A way for people to come here and know that Cib had existed, even after she and Noah were long gone. She didn’t know if Cib would have cared about that or not. A strange thing, having no goddamn clue how her own brother would have felt about it. But they’d never discussed death. They’d avoided it almost superstitiously, as if opening the door to that conversation would let the Grim Reaper himself slip in. But she cared. Emma had spent years mourning her brother, and only getting it half-done because everything about it felt so…unfinished. Not just sudden, but messy in ways she was still discovering. She still had so many questions, and she’d never learn the answers now. But if she could come here, talk to him, at least ask those questions, that was something. He folded her into his arms, and something shifted into place in her chest–the last jagged piece of her once-broken heart. Cib had made some poor choices, disastrous ones, but he’d always meant well. He wanted what was best for her, even when he couldn’t provide it, or when the hazy veil of addiction and desperation had made him lose sight of that. He’d done what he could. The rest was up to her. Family. Once upon a time, she’d thought she’d never have one again. Then she found the O’Kanes, and Noah found her. Now, she had it all. She even, in a way, had her brother back.